If you're looking to play with PICAXE microcontrollers on a computer with only USB, look no further! 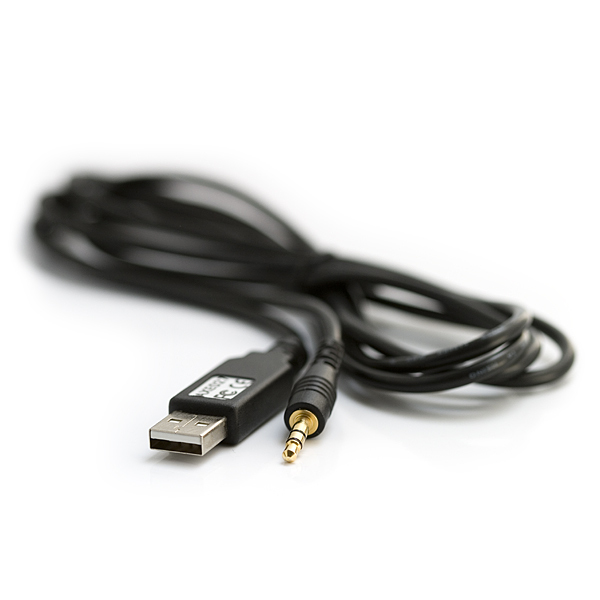 The PICAXE USB programming cable allows PICAXE micros to be programmed from any platform (Windows and Linux). The cable has the FT232R embedded into the USB connector and will show up on your computer as a new COM port. If you're using Windows you'll need to install some drivers, which can be found on the PICAXE download page below, it's really easy! 25 bucks for a cable?!?!?! Whoa! I hope that's a typo! I suggest reading the description BEFORE commenting. "The cable has the FT232R embedded into the USB connector and will show up on your computer as a new COM port." If that doesn't click I suggest looking at the datasheet. If you really don't want to fork over $25 bucks try out SF's USB Programmer. It's only $15 dollars. Sure, I guess, but if you add up the cost of the chip and the cables, it doesn't come close to $25. Maybe you could consider it a breakout board, but in my mind, my point is still valid. Is it possible to hook up an FTDI basic to a TRS audion breakout to emulate one of these? I'm really REALLY new to this, so forgive the question. But, can you use the FTDI friend to program the chip? The drivers from picaxe don't work, unless this isn't the AXE027_USB_Driver cable. You also must consider that robotshop is an international corporation and that they probably carry some of Sparkfun's stuff. You also could realize that they have huge warehouses, and can get discounts for buying things in bulk #s that would fill up Sparkfun's warehouse. Or is there more than one warehouse!?!? Think about shipping costs. Just put this in your cart w/o any other items and calculate shipping. Now look at S/H costs from RobotShop. Load the drivers, plug in the cable, get a new serial port, run the IDE, select that serial port, start downloading to the PICAXE. Works perfectly with the PICAXE 8 Pin Proto Kit, which (sigh) SparkFun doesn't seem to carry any more. It set up quickly and was recognized by the programming editor and connected with the bread boards and identified the PICAXE chip connected. I was able to program and modify programming in real time on the projects. Works exactly as it is suppose to. Ideal para descargar los programas al microcontrolador PICAXE, una conexiÃ³n sencilla por USB y el cable tiene la longitud correcta. Cable is perfect - five star, but shipping was slow. The cable is working fine. I have been exploring programming the PICAXE 08M2+ chip in accordance with some experiments in "Make: Electronics". Thanks for your assistance. -- Tony G.
It works great and standardizes the means to program the Picaxe family of mpu's. Serial ports are becoming obsolete on laptops whereas USB ports are taking over. This is a big PLUS. Installing the software driver was a little confusing for a 75 year old but I figured it out. The cable works perfectly every time.